Hi mommies and friendzies! Let's talk about hair today shall we? I had the urge to talk about it today because I am actually overdue for my rebonding treatment this year. Like I mentioned here before, I prefer a rebonded fuss free hair. 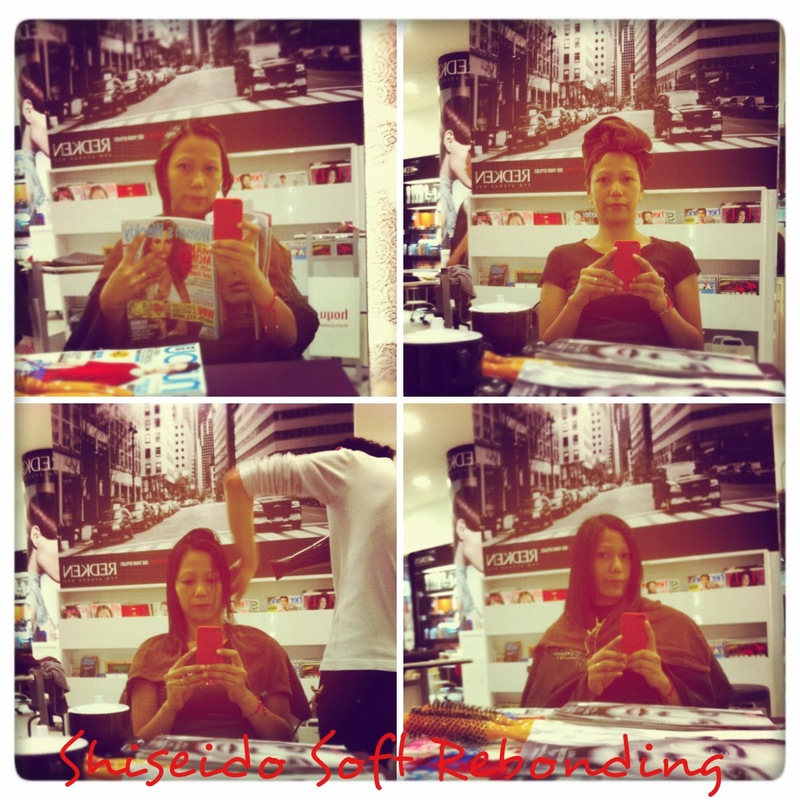 The above photos were taken some time in September last year while I had my Shiseido soft rebonding treatment done at a hair salon in East Point Mall. The bad news is, East Point Mall closed down for a major revamp that is expected to be completed only around October next year. Now, I am desperate to find a reliable hair salon where I could entrust my fragile hair. The hubby suggested I shouldn't rebond my hair anymore because my wavy, frizzy hair is completely fine with him.